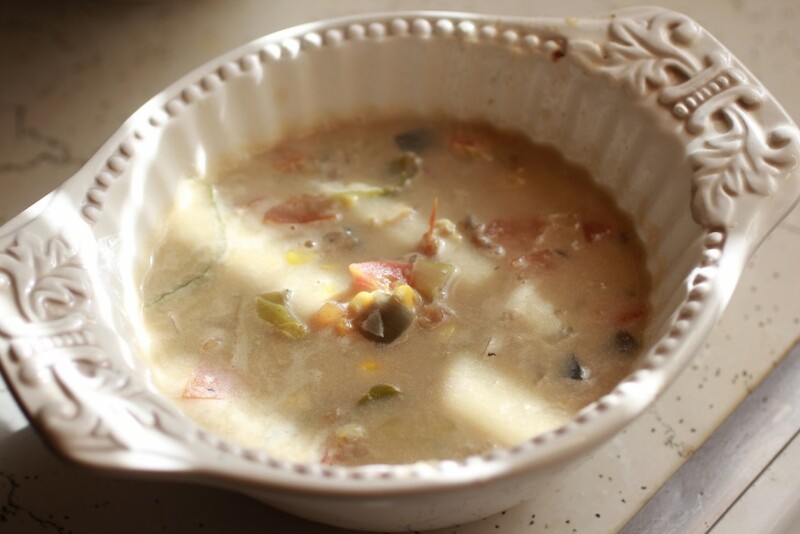 This chowder is absolutely my favorite soup in the world. 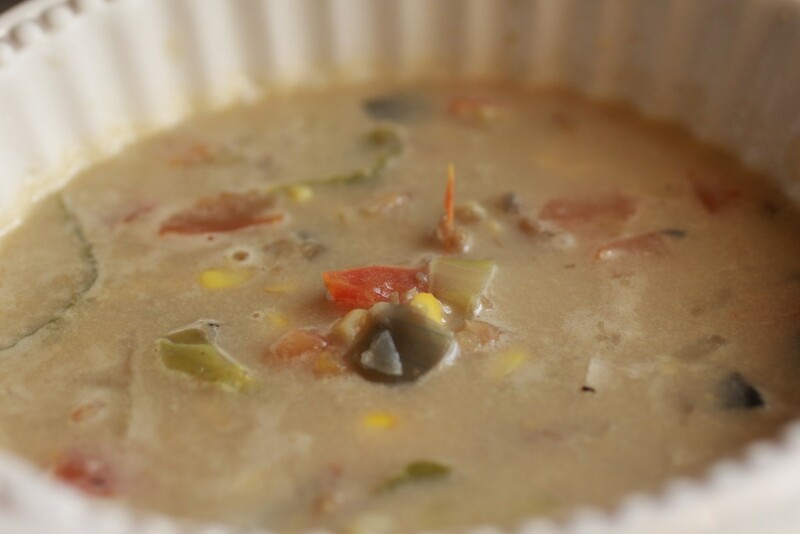 I discovered this way of making chowder a few years ago, when I was trying to cut down on dairy in my life, and wanted a healthy lunch to make in large batches and eat throughout the week at the office. Boy, did this fit the bill! 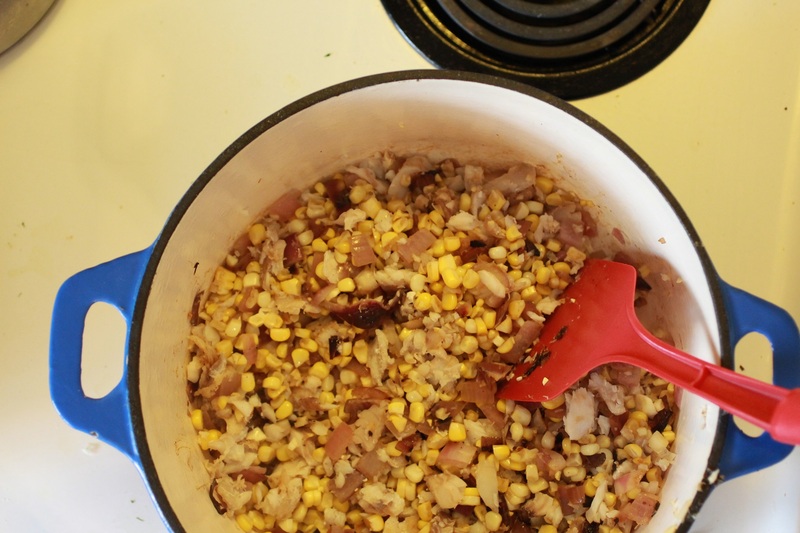 Even now, I often get cravings for this soup, although for some reason it feels most appropriate in the summertime. 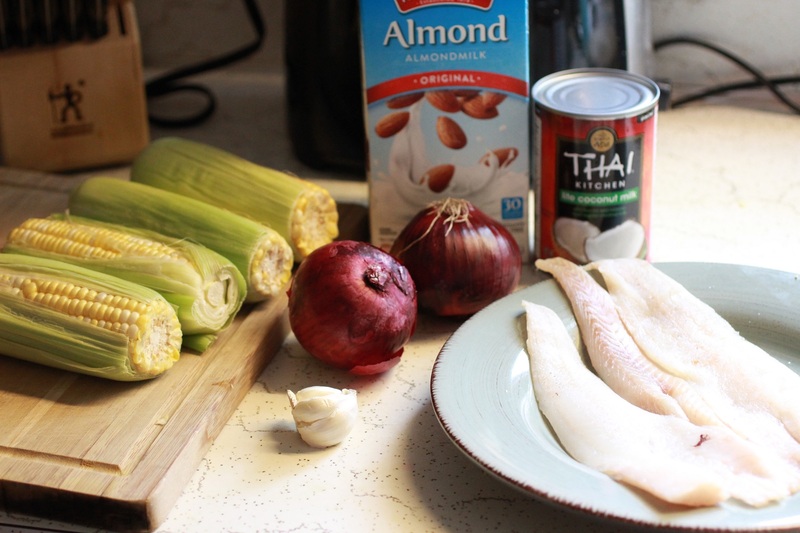 Pour in your can of coconut milk, and about 1/2 to 3/4 your cardboard container of almond milk. 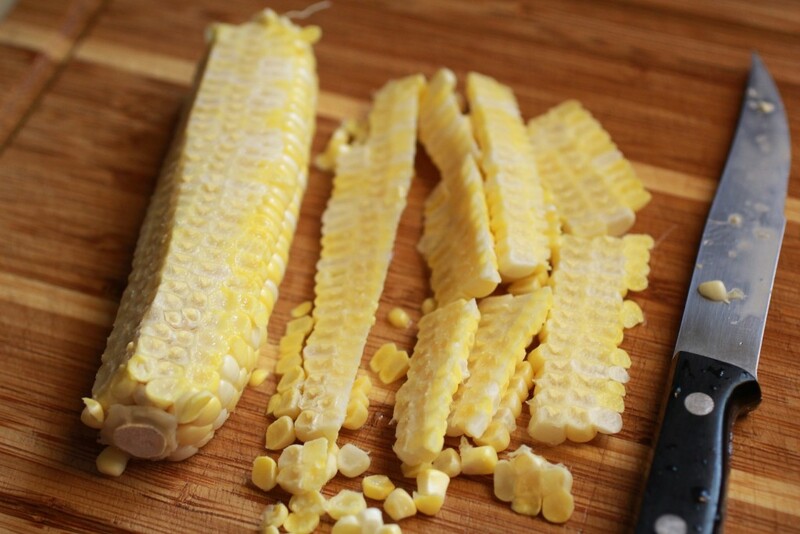 You want to just cover your other ingredients with a little extra. Add salt, pepper, and Cajun seasoning to taste. Lightly simmer for 15-20 minutes. Add your tomatoes and simmer for another five minutes and then turn heat off and cover. 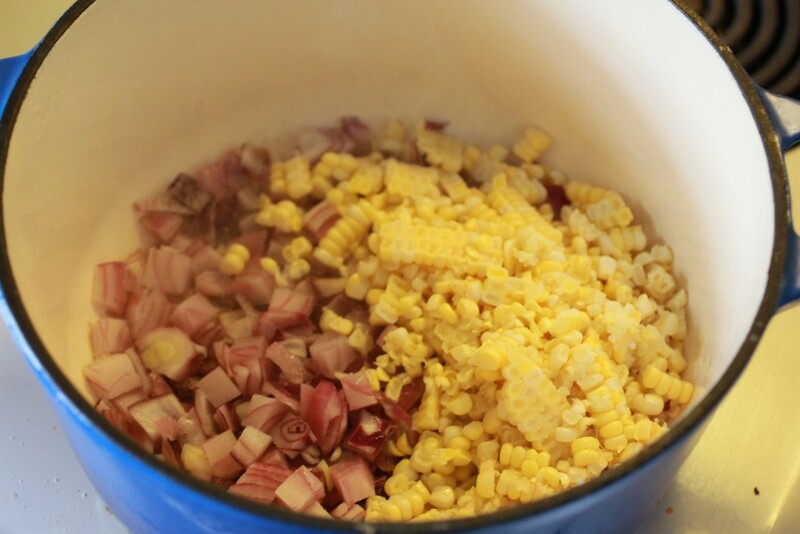 Be careful not to overcook because onions and tomatoes both become a little mealy. Here, I’ve used thawed cod fillets instead of shrimp. I grilled the cod in a separate pan and then flaked and added it at this point.